The clock is ticking: It’s time to future proof your data for MiFID II (and future regulations). Learn how to accelerate your MiFID II Compliance--within 30 days. 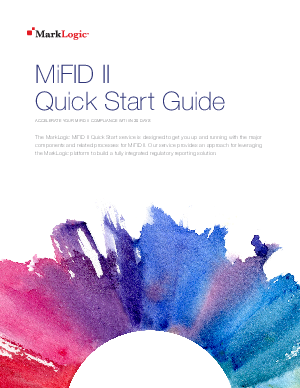 Download our Quick Start Guide, designed to get you up and running with the major components and related processes for MiFID II, including an approach for building a fully integrated regulatory reporting solution.